Askamore Text Alert is now due. 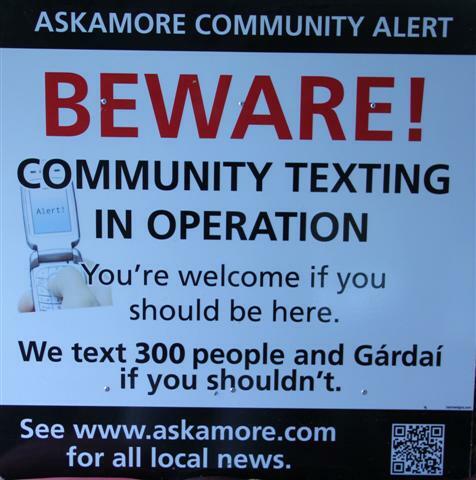 Please give your name, number and €5 to any member of Askamore Community Council. This entry was posted in Community Alert, Community Council by admin. Bookmark the permalink.